Ernie was born in Kirkland, the seventh son of George and Lucille Board on November 5th, 1947. His childhood was spent on the “river” in Woodinville with his six brothers and two sisters. 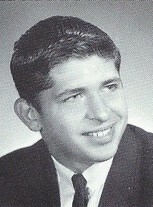 Ernie graduated from Bothell High in 1966 and secured employment at Northern Pacific in 1967. He was a member of the Maintenance of Way, and worked as a gandy dancer, track inspector, machine operator, loving his “boom.” He loved his job and when honored at his retirement party after 41 years of service commented on how lucky he was to have a job on the tracks in his motorcar or Hi Rail in the Cascades or along Puget Sound. His work ethic was one of his finest qualities. Ernie enjoyed Glamping, salmon fishing, snorkeling, golf, boating, antiquing crabbing razor clamming, stunt kiting, and collecting Pacific Northwest art to commemorate his travels. He loved to tinker on things and solve problems. 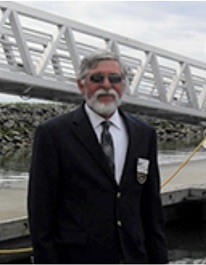 He was a past member of Kingston Cove Yacht Club and served as Fleet Captain in 2008, loved choosing the port and organizing the cruise. The number one thing Ernie was known for was helping people. He took care of EVERYONE, without hesitation no matter how it affected his life. He did this never looking for praise or reward. Ernie’s Circle of Life include his wife of 44 years, Kerry; sons Ernest Craig, Kim and Christopher Board (Sara); daughter Cheryl Board Waite; Sisters Pam Board and Joanne Board; brother Bud (Di), Jim (Mavis), Curt (Joyce), Danny (Dar); and grandkids Benjamin and Bradley Waite, Brenna, Bailey, and Brylee Board; Reagan, Dominic, and Pierson Board. A celebration of Ernie’s life will be held Saturday April 28th 1 p.m. & 4 p.m. at Sammamish Valley Grange, 14654 148th Avenue NE, Woodinville. Our family extends an invitation to all who wish to share their personal memories. WE WILL ALL MISS YOU FOREVER.